The course fee per year is INR 1.6 lakhs. Sree Chaitanya College of Engineering (SCCE), Karimnagar was established in 2004. It is Jawaharlal Nehru Technological University, Hyderabad and approved by All India Council for Technical Education (AICTE), New Delhi. 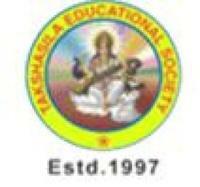 It is owned and managed by Takshasila Educational Society, Karimnagar. Today SCCE’s students are scattered all over the world & are very well placed. The college organizes several inter collegiate sports tournaments and technical paper presentation competitions. SCCE is functioning with the motto of prosperity through technology and is continuously taking genuine and immense efforts to produce technically competent, socially committed young engineers. The college provides facilities to students to take part in co-curricular and extracurricular activities. Students are encouraged to participate in inter collegiate competitions in outdoor/indoor sports, cultural events and technical paper presentation competitions.